Rosy Outlook: Black Friday & Cyber Monday Deals + My Picks! Black Friday & Cyber Monday Deals + My Picks! It's officially Black Friday and all the sales are in full swing! I wanted to share some sales I will definitely be shopping plus a couple hot ticket items I have my eye on. I personally like to take more advantage of the sales that are with retailers that rarely mark down their items! Shopbop is one of my personal favorite sales to take advantage of because I LOVE the brands they carry but their prices are pretty high. Nordstrom also takes this time to mark down a bunch of items that were hot sellers (some of my personal favorites to shop this time of year are Free People sweaters and shoes). I also stock up on items from Anthropologie because it's one of my absolute favorite stores but they rarely have big sales! Good picks cute girlie! I want that wrap sweater! Great picks! Those brown boots are great! okay those coasters are so cute!! Kind of want them for myself haha! 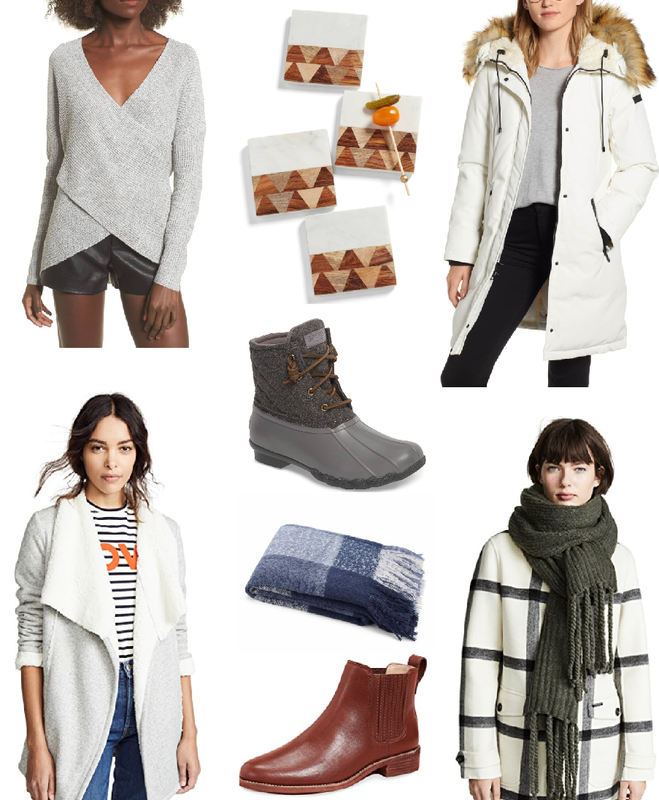 Can't go wrong with any of these cozy classics. Great picks dear.